Even before then-Kate Middleton married Prince William, I was convinced that there was some shady stuff happening with the Middleton finances. The Middletons made their fortune with Party Pieces, at least that’s the official story. I never doubted that Party Pieces was a profitable start-up company from Carole Middleton, just as I never doubted that Carole has a true entrepreneurial spirit. What I doubted was this idea that the Middletons amassed a reported 40-million-pound fortune from selling cheap party supplies. I think they probably made enough for a comfortable middle-class life, but this whole “the Middletons are rich AF because of Party Pieces” idea was just PR. I still believe that the Middletons’ keeping-up-with-the-Joneses lifestyle was supplemented quite heavily by shady Uncle Gary. Well, now the Daily Mail (and The Sun) has an interesting story about how Party Pieces might be facing some hardships. Huh. The party supplies company run by the Duchess of Cambridge’s mother has dismissed some of its staff amid fears for its future, it was claimed last night. 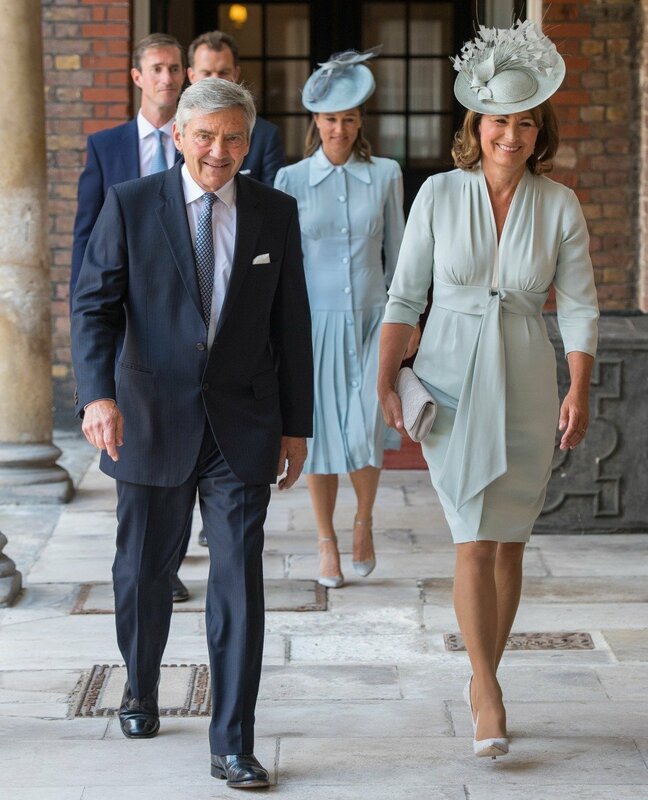 Party Pieces, run by Carole Middleton, is said to have laid off at least three of its staff on Wednesday and a fourth worker was told they were at risk, although there were claims up to half of staff members were let go. The abrupt dismissals come months after three warehouse employees were laid off before Christmas. Well, that’s certainly interesting, isn’t it? I always thought James Middleton – noted supplier of Nazi marshmallows – was the black sheep of the family because he has no head for business. But maybe Party Pieces was always something of a shell game. I’m being too harsh, I know – it’s more than possible that Party Pieces was a well-run and profitable business for years and years and because of the changing dynamics of this particular niche market, Party Pieces is failing right now. I wonder if Party Pieces does go under, will royal reporters start telling the truth about the Middleton family’s finances though? They were never as rich as they claimed. Prince William even gave the Middletons a significant chunk of money to buy their upgraded home in Bucklebury. Photos courtesy of Backgrid, Avalon Red and WENN. Melanie Lynskey and Jason Ritter had a baby, did you know they were together?